WASHINGTON (AP) — Gina Haspel, President Donald Trump’s nominee to lead the Central Intelligence Agency, offered to withdraw her nomination, two senior administration officials said Sunday, amid concerns that a debate over a harsh interrogation program would tarnish her reputation and that of the CIA. 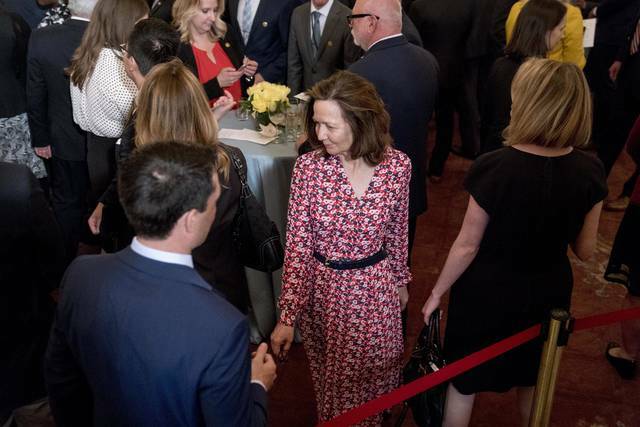 Haspel has told lawmakers in recent weeks that she would stand firm against any effort to restart the brutal detention and interrogation program, administration officials told The Associated Press on Friday. She is expected to reiterate that publicly this week. Haspel has received robust backing from former intelligence, diplomatic, military and national security officials, who praise her extensive intelligence career.